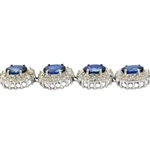 Lot Detail - 14K BLUE SAPPHIRE AND DIAMOND NECKLACE 40.47 C.T.W. 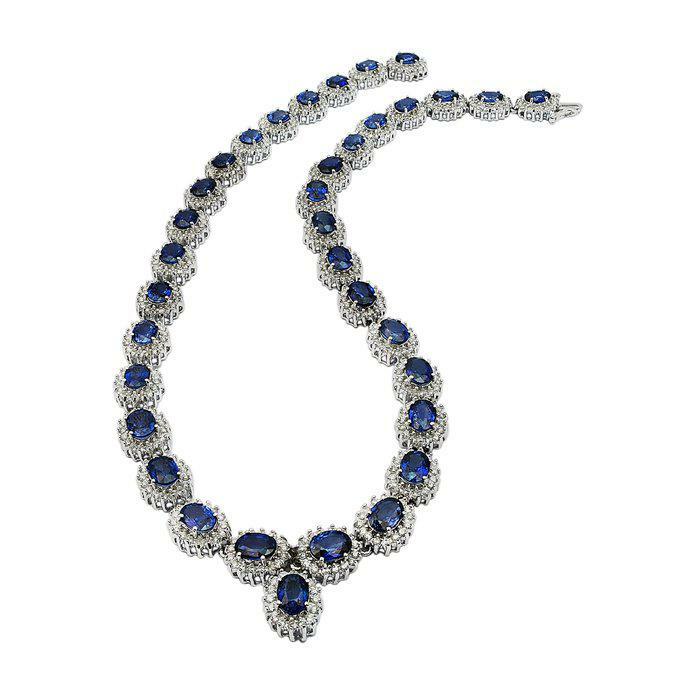 14K BLUE SAPPHIRE AND DIAMOND NECKLACE 40.47 C.T.W. IN GOOD CONDITION. 16 1/2" 14K WHITE GOLD BLUE SAPPHIRE (MAY HAVE BEEN HEAT TREATED WHICH IS COMMON IN SAPPHIRES) AND DIAMOND NECKLACE APPROX. 40.47 C.T.W. COMES WITH OUTSIDE INDEPENDENT APPRAISAL THAT WE FEEL IS A HIGH RETAIL APPRAISAL. 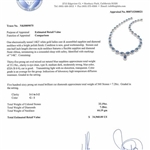 IT IS SOLELY FOR INFORMATIONAL PURPOSES ONLY AND IS NOT A GUARANTEE OF QUALITY OR VALUE. PLEASE BID ACCORDINGLY SINCE SALE OF THIS ITEM IS FINAL.